The evolution of fashion is a given. 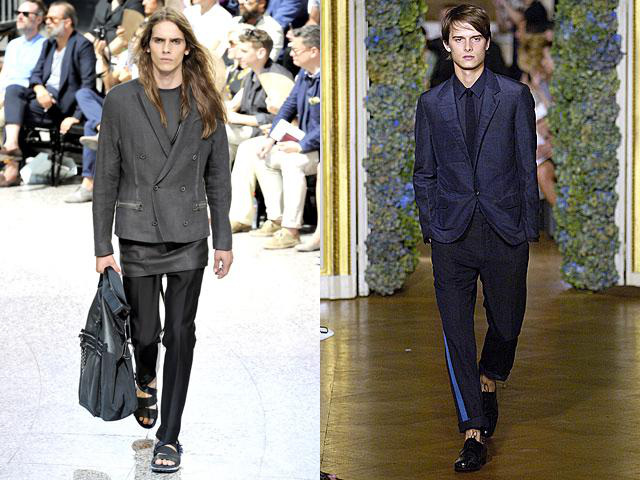 Lapels get slimmer then wider again while pants are skin tight one season and almost JNCO-esque the next. But that constant tide of change is what drives re-invention and gives the industry an excitement like no other. Headed by Creative Director Alber Elbaz, Lanvin has become one of my favorite fashion houses. It’s quintessentially French collections combine the brand’s inherent romanticism and whimsy with the edginess that permeates the streets of Paris. 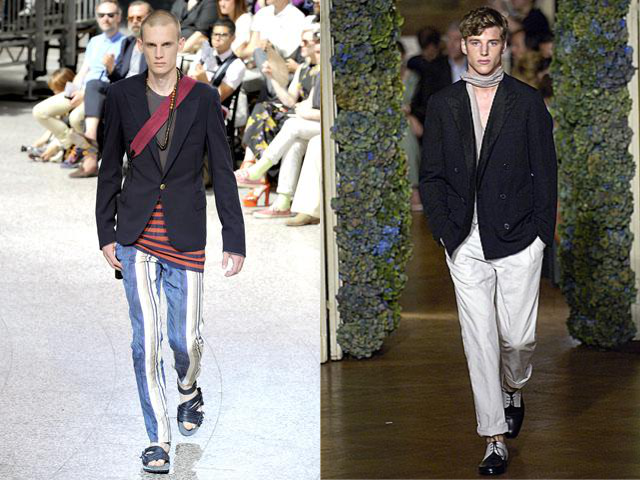 The men’s label, designed by Lucas Ossendrijver, showed it’s first collection for the Spring 2007 season. 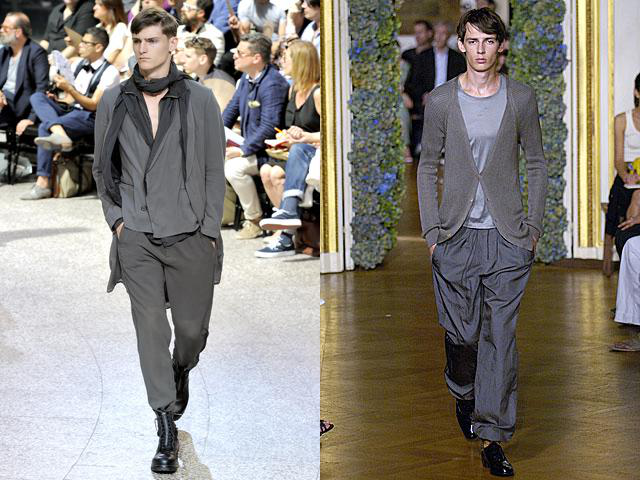 I thought it might be interesting to compare Lanvin’s first spring line with its most recent, pulling my favorite looks from each and seeing how the brand has changed (and stayed the same). Think of it as a five year report card. Spoiler: it’s acing everything. 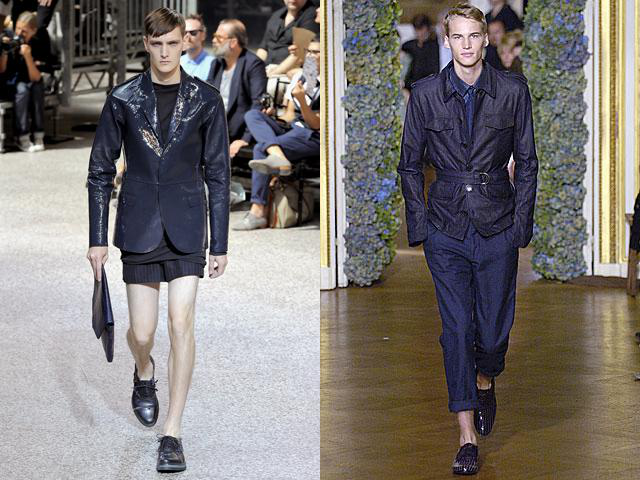 Now (left): Blues prevail while black lace up boots give a regimented feel. Bags, from duffels to portfolios, take center stage. Then (right): Trying to align itself with the women’s brand, the line is soft and relaxed. 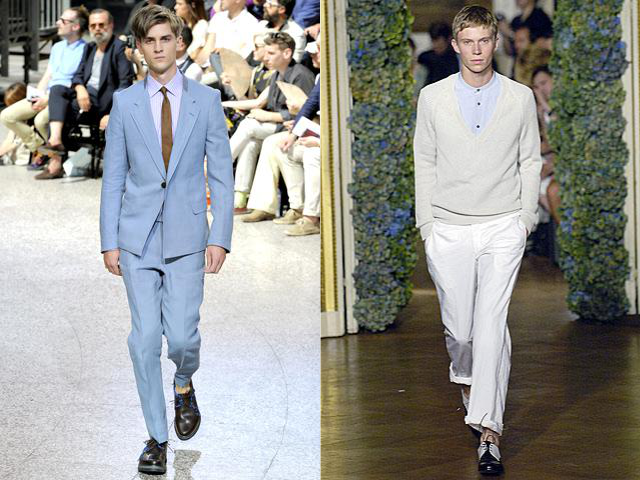 Even with almost every model wearing a tie, the collection feels casual. Now: One of the edgiest looks of the season, the asymmetrical jacket is a favorite of mine. 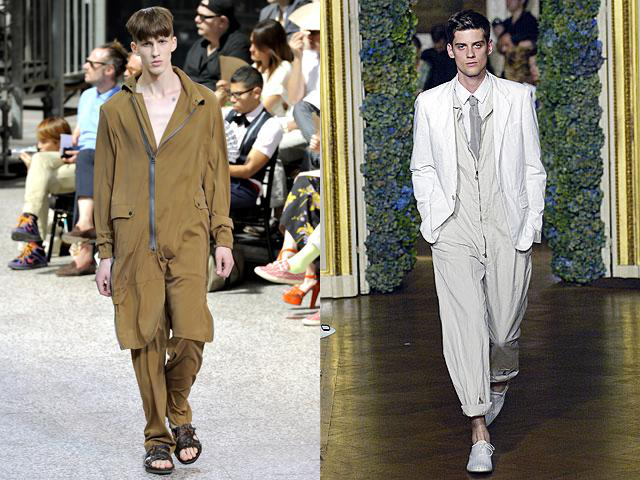 Then: Somehow this jumpsuit looks completely work appropriate. Now: This jacket is killer, although I’d probably opt for pants myself. 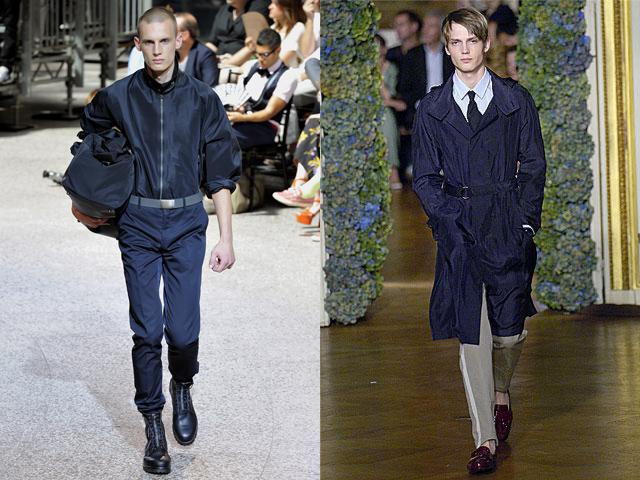 Then: The belt is the perfect update to the military jacket. Now: The boots add a clever Parisian twist. Then: A silvery palette that worked then, still works now. 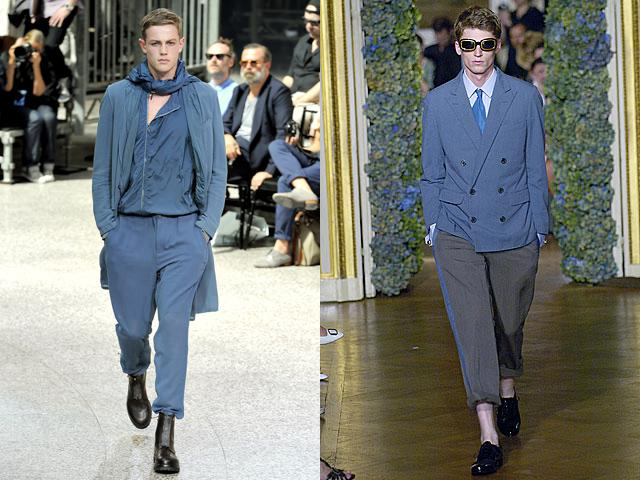 Now & Then: Both collections highlight pieces in the forget-me-not blue synonymous with Lanvin. 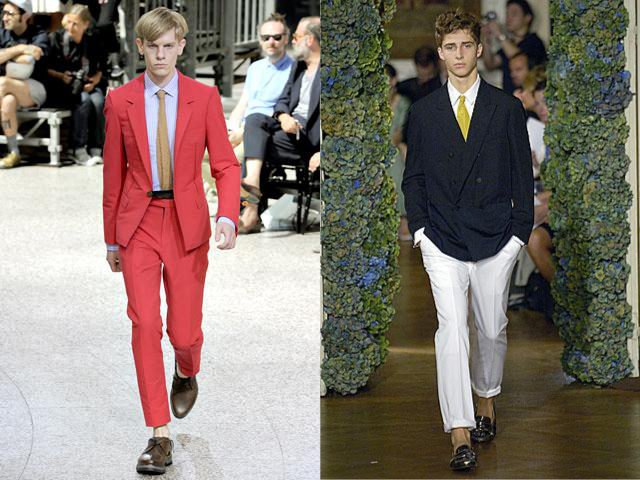 Now & Then: Prep isn’t the first word I’d use to describe most French runway looks, but here it’s the most appropriate. Now: Both the collar and lapels are wide. Then: Ossendrijver opts for neither. Now: Like so many other designers this spring season, Lanvin showed some incredible bags. Then: The line seems a bit more reserved, almost timid. Now & Then: Lanvin has become much more playful in the last five years, stepping out and taking risks with silhouettes and materials. Where the first spring collection was well conceived and well made, it’s missing an element of surprise. It will come as no surprise, however, if the brand continues to deliver chic and progressive collections for another five years. This entry was posted on March 22, 2012 by The Modern Minion. It was filed under RUNWAY, STYLE, TRENDS and was tagged with fashion, Lanvin, men's fashion, men's style, menswear, Spring 2012, style.